Eighteen years ago, Bryan Lee Briggs moved from Denton, TX to Scottsdale, AZ, and has been enjoying life in the desert ever since. 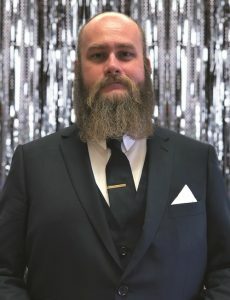 Bryan Lee is a senior database administrator, developer and designer working for JusticeTrax, Inc. His interest in Arizona’s Children Association began with the first annual Dancing for Arizona’s Children event, when a close friend of his danced. He has since become a supporter of the organization, as he feels that children are the future and having a stable, loving family is one of the greatest predictors of future success. The work Arizona’s Children Association does to assist children in finding such families is worthy of support. Support Bryan Lee Briggs by purchasing your sponsorship, People’s Choice Votes and/or tickets below to attend our brunch event on December 1, 2018. If you aren’t able to attend, you can still support him by purchasing votes for him to win the People’s Choice Award!